Enjoy browsing our fleet. We take great pride in maintaining the largest fleet of charter sailboats on Lake Travis. We offer the widest selection of premier Beneteau sailboats in the area. Our team takes care of the details, so you don't need to fill the boat with fuel or pump-out the marine head at the end of your charter. We do require a $1,600 security deposit which is refunded in full assuming no damage occurred to the vessel while under your command. Feel free to call our office if you have questions or would like to arrange a booking. 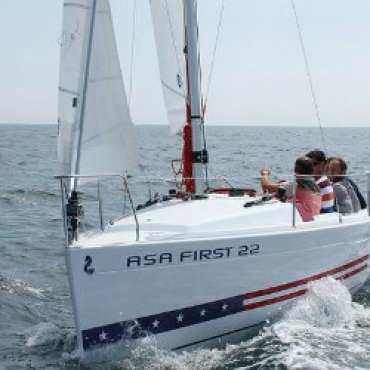 2016 Beneteau First 22 - "Captain America"
A fantastic 22 ft. day sailor with tiller steering, traditional mainsail, and rolling furler jib. This boat is popular for her large cockpit and forgiving nature. Experienced sailors love her performance in light to medium winds. Pricing: $201 for a half-day sail or $300 for a full day of sailing. 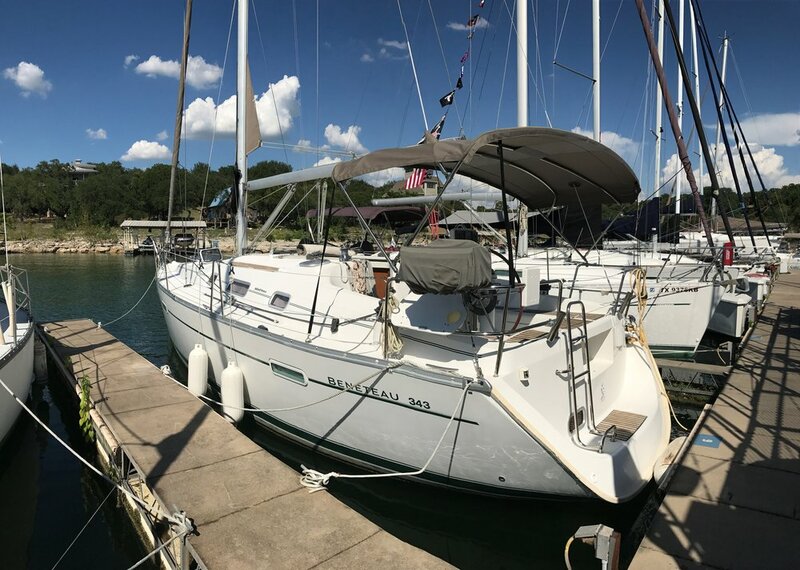 Beneteau 281 - "Le Boat"
This classic 28 ft. Beneteau provides skipper and crew with bimini, wheel steering, traditional mainsail, roller furling jib, marine head, galley, and propane grill. She is a great boat for a day sail with full protection from the sun with her bimini. $271 for a half-day sail or $405 for a full day of sailing. 2012 Beneteau 34 - "The Pearl"
Cruising World's 2009 Boat of the Year. 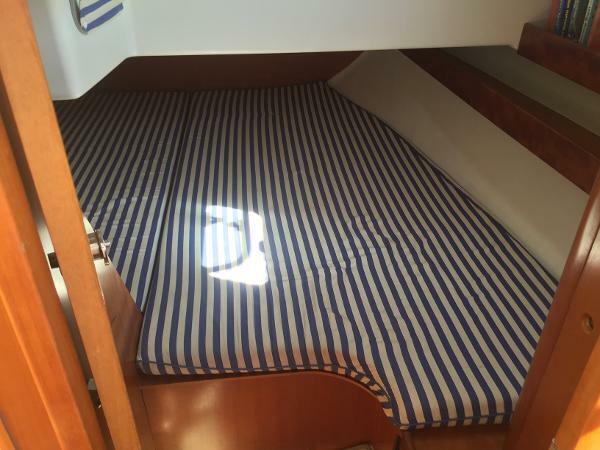 She comes complete with bimini for shade, wheel steering, and roller-furler main and jib. 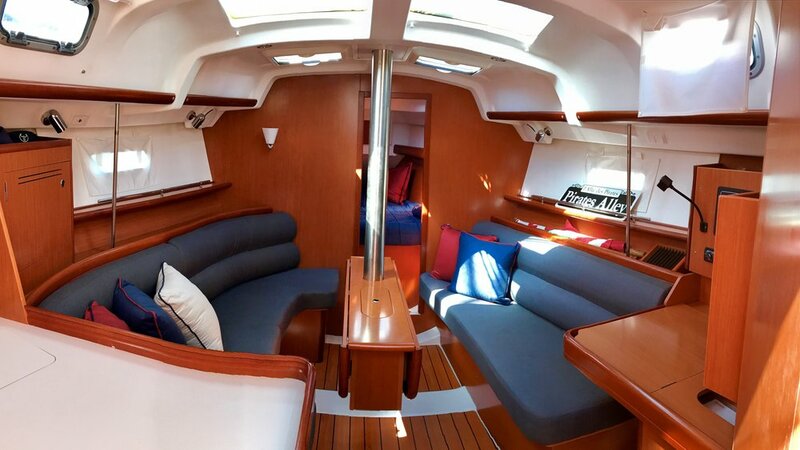 A spacious interior with galley, private "head". and air conditioning while at the dock. She handles well in all winds and is a joy to sail or spend the night. $385 for a half-day sail or $575 for a full day of sailing. She is also available for overnights and weekends for an additional fee. 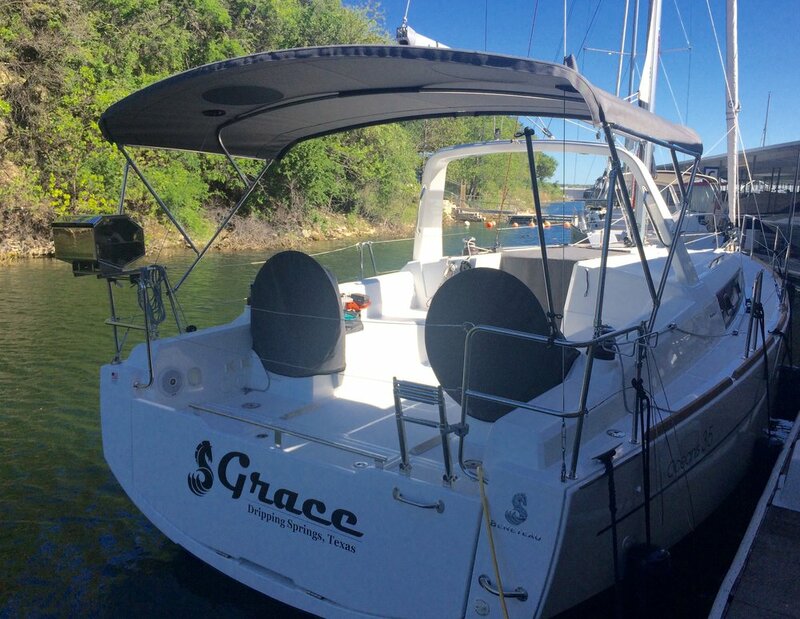 2011 Beneteau 343 - "Alizé"
2016 Beneteau 35 - "Grace"
Her name says it all. "Grace" is a fine example of the latest features from Beneteau with dual-helms, fold down transom for an enormous swim platform, hard chined hull for excellence in upwind sailing. Her shaded cockpit is comfortable for large groups. Her open interior below ideal for day or weekend get-aways. 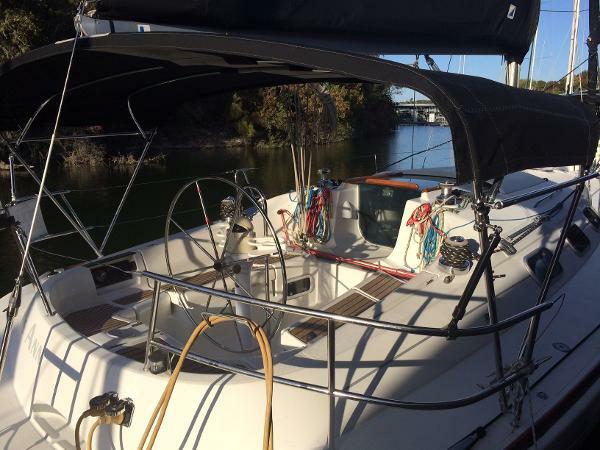 She features roller-furler main and jib, air conditioning and private head below. $452 for a half-day sail or $675 for a full day of sailing. She is also available for overnights and weekends for an additional fee. 1996 Beneteau First 36s7 - "Miss Ann"
"Miss Ann" is a classic example of the Beneteau First series. She is performance oriented (fast) and great in light winds. 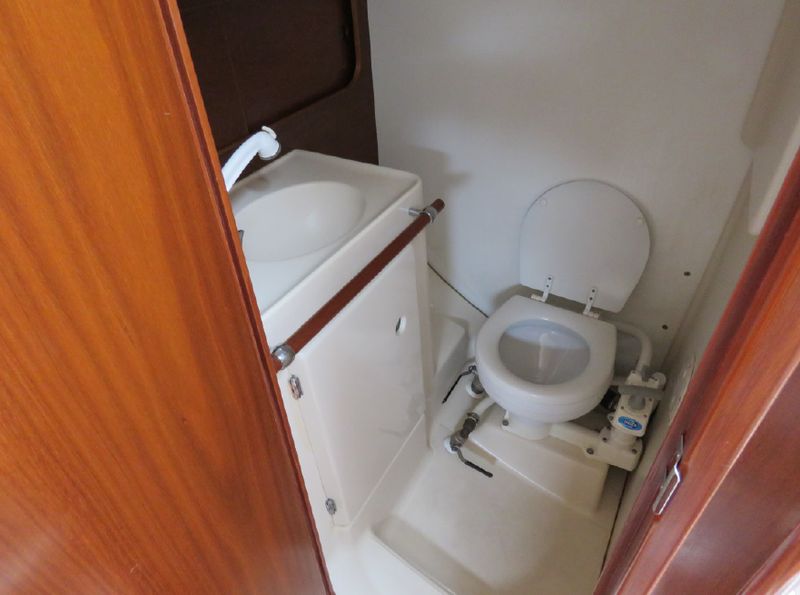 She features European styling below with two sleeping areas, private head, and great galley. She is popular with our performance, oriented members and guests. $318 for a half-day sail or $475 for a full day of sailing. She is also available for overnights and weekends for an additional fee. 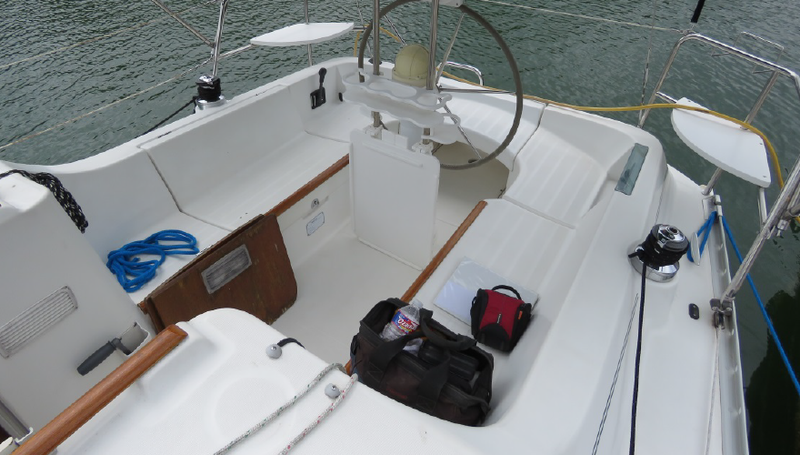 2007 Beneteau 373 - "Lone Spar"
Popular 37 ft comfortable cruiser with roller furler main and jib. She features a large, shaded cockpit with walk-thru transom for easy access to the water. 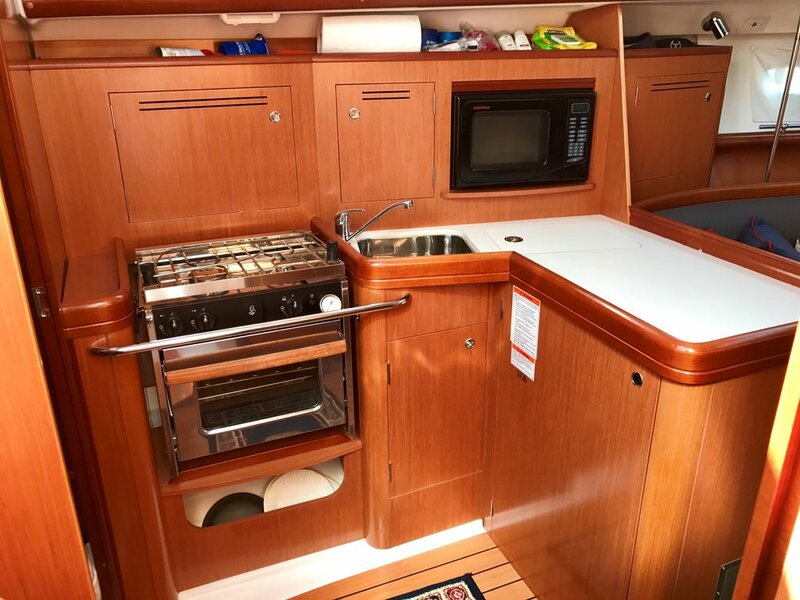 Her galley offers a front-opening refrigerator as well as top-loading freezer. Her private marine head includes a separate shower area. 2005 Beneteau 373 - "Moon Rock"
The Beneteau 373's features show why she was recognized by Sail Magazine as Cruising Boat of the year. She is similar to "Lone Spar" in her features but differs in that she offers a traditional main. 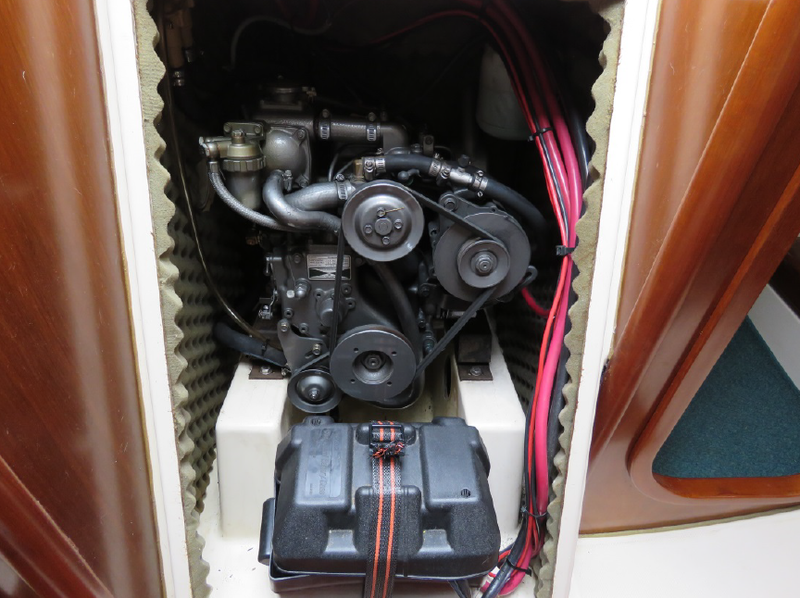 She also features a generator, allowing the crew air conditioned comfort while at anchor. This vessel is only available for "lease members" and captain charters. Please complete the form below or feel free to call our office to arrange your charter. We will call back as soon as possible to confirm your reservation and arrange deposit. All bookings require a $1,600 security deposit which is refunded after the charter, assuming no damage occurred to the vessel under your command. Please note, our offices are closed Monday and Tuesday. If you haven't sailed with us before, we ask that you also email us a copy of your sailing resume. We accept either a PDF version of the NauticEd sailing resume or complete our form. Members can book without calling the office via our online booking system. 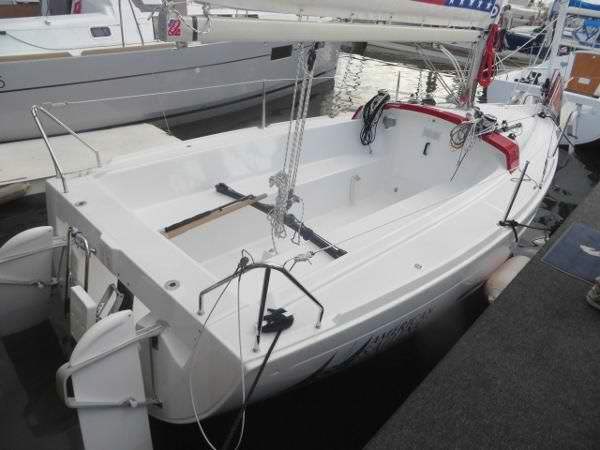 Request Your Boat * Beneteau First 22 - "Captain America" Beneteau 281 - "Le Boat" Beneteau 343 - "The Pearl" Beneteau 343 - "Sail Away" Beneteau 35 - "Grace" Beneteau 36s7 - "Miss Ann" Beneteau 373 - "Lone Spar" Beneteau 373 - "Moon Rock"
How long would you like to enjoy your sail? Thank you! We will be back with you to confirm your reservation as soon as possible. Monday and Tuesday submitted requests will be responded to when our staff returns to the office Wednesday thru Sunday. 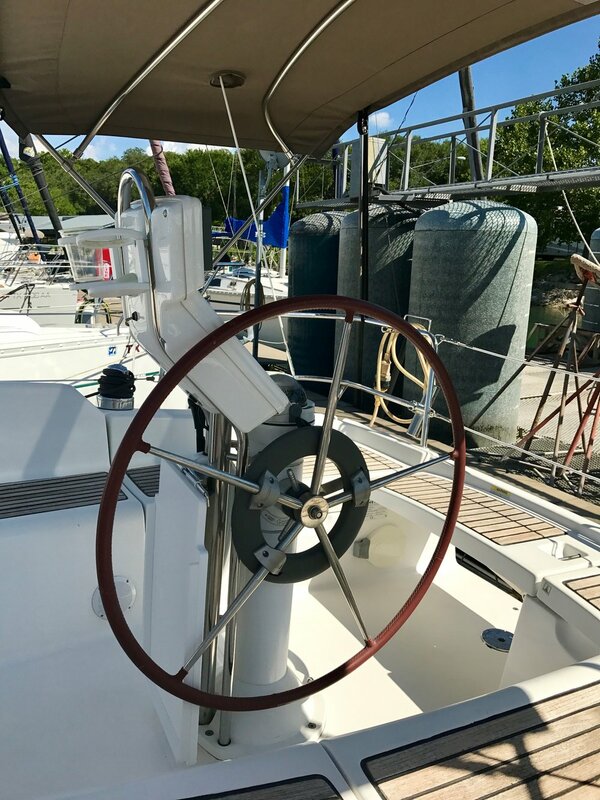 If this is your first charter with Texas Sailing, please submit your "sailing resume".. We accept our easy to use form available on this site, or email a PDF version of your NauticEd resume.